I would like to sign up for LegalVault. How do I get started? LegalVault is offered to individuals by law firms across the country. If you are working with an estate planning attorney, we encourage you to ask them about this service. If you have yet to select an attorney, please complete our short online request form to receive a list of law firms in your area that offer this service. What can I store in my account? LegalVault has two unique sections: one for healthcare information and documents, and another one for all of your legal/financial documents. The healthcare section allows you to store a list of emergency contact information, medical conditions, primary care physician information, allergies and medications. In this section, you can also upload documents that you would want a healthcare provider to be able to access in the event of an emergency; these might include your advance directives, health insurance information or even your vaccination record. The legal/financial section, which can only be accessed by you and your sponsoring law firm, allows you to securely store assets and a list of professional advisors. Documents can also be uploaded to this section. Many account holders store all of their estate planning documents, deeds, tax returns, contracts and copies of their professional licenses. Some have even chosen to store letters to their loved ones, photos and home videos! There is absolutely no storage limit so you can store all of your most important documents and electronic files for convenient retrieval 24/7/365. What do you mean when you say “sponsoring law firm”? Currently, we do not offer this service directly to individuals or families. Instead, we’ve partnered with amazing law firms around the country who enroll and manage client accounts in LegalVault. A sponsoring law firm will work with you to get your estate planning documents in order and get your LegalVault account set-up. The sponsoring law firm will be able to see all of the documents you upload, making LegalVault a great exchange system through which you can securely send documents to your attorney throughout the estate planning process. What is the Emergency Access Wallet Card? Many people spend a great deal of time and money creating an estate plan to ensure their wishes are carried out in the event of incapacity and after their passing but all too often, they fail to properly store these documents and have them accessible when tragedy strikes. When you sign up for LegalVault, you will be taking the first step to make sure healthcare providers are aware of your wishes and are able to honor them. After you are enrolled in the service, you will receive an Emergency Access Wallet Card which contains key medical information like emergency contact details and allergies. This card also includes instructions for a healthcare professional on accessing the complete medical information and advance directives which you’ve uploaded to your LegalVault account. This is an invaluable tool which ensures your medical history and wishes are known, even if you’re unable to convey this information. What can a doctor see when he or she has my Emergency Access Wallet Card? When you sign up for LegalVault, you will be able to name individuals who should have post-mortem access to your account. Upon your passing, your sponsoring law firm will provide these individuals with all of the information and documents stored in your LegalVault account at the time of your death. This helps to spare your loved ones from the daunting task of having to locate your estate planning documents and asset information. LegalVault's secure architecture is similar to that used by banks for online transactions. 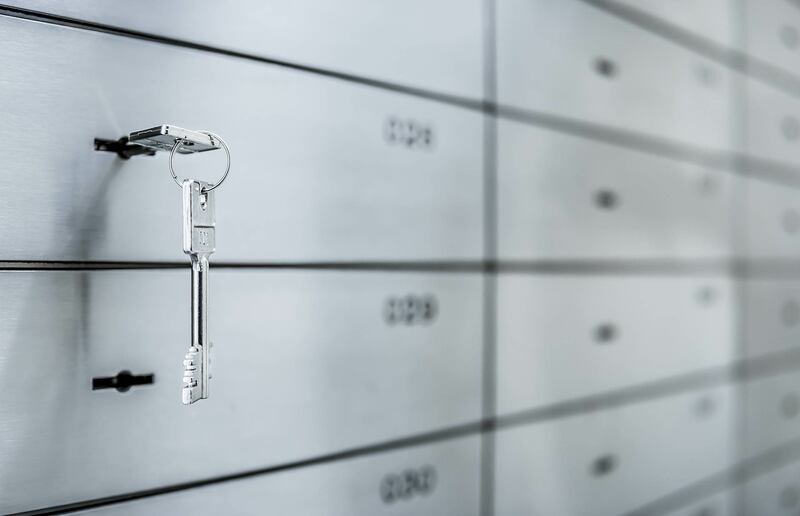 LegalVault employs a Secure Socket Layer (SSL) connection and has many safeguards in place, such as IP logging and automatic access email notifications, to ensure you continuously have peace of mind.